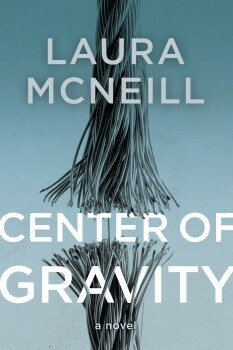 With the idyllic Gulf Coast of Alabama in the backdrop, protagonist Ava Carson finds herself ricocheted into a web of secrets and lies in Laura McNeill’s debut, CENTER OF GRAVITY. 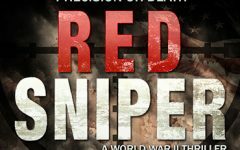 McNeill took some time out of her schedule this month to answer a few questions for The Big Thrill about her novel and what’s next for her writing career. On the surface, the novel is about the dissolution of a picture-perfect family. The story follows Ava Carson as she navigates through bitter shock and pain after her husband announces he’s leaving the marriage. Things get much worse, however, after Mitchell files for divorce and demands full custody of the couple’s children. It’s then that Ava is forced to wake up and face the truth that her husband is not the charming, loving man she believed she’d married. Sounds a bit like Sleeping With the Enemy. Like Martin in Sleeping With the Enemy, Mitchell is definitely controlling, jealous, and increasingly violent. As a powerful member of the community, he skillfully manipulates public opinion, placing Ava in devastating situations with her own friends and family. Unlike Price’s novel, though, CENTER OF GRAVITY includes an additional domestic suspense angle, with the couple’s young children caught in the middle of Ava and Mitchell’s custody battle. One of your narrators is Mitchell and Ava’s young son, Jack? Why did you choose this POV? CENTER OF GRAVITY is told in several voices; eight-year-old Jack’s being that of the innocent observer. It’s my hope that Jack—a superhero-enthralled, rough and tumble child from Mitchell’s first marriage—lends authenticity and depth to the story. He’s the character who, perhaps, suffers the most at the potential loss of another mother figure in his life. 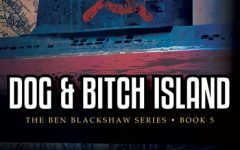 In other chapters, Ava and Mitchell narrate the story, as well as Graham Thomas, a newcomer to town who proves more central to the breakdown of the marriage than one might expect. Does CENTER OF GRAVITY reflect real life? Very much so. As I was writing the novel, I discovered that nearly everyone I talked to, virtually everyone who’s been through a devastating breakup, has a dark story to tell. It’s part of human nature to overlook a person’s flaws in those first, heart-fluttering stages of romance; to see people as we want to see them or tell ourselves that the person we adore might change, eventually. Domestic violence, whether emotional, mental, or physical, is, sadly, a real issue for many couples, and just one of the many downfalls of Ava and Mitchell’s marriage. CENTER OF GRAVITY, at its core, is a novel about the lies we tell ourselves and the lies we are told. It’s about the unfailing truth that things, and people, are not always what they seem. So will your next book also be domestic suspense? Yes. Sister Dear, set near St. Simons Island, Ga., will be released in April of 2016. I’m working through the final edits right now. It’s a sister betrayal story—think Janet Fitch’s White Oleander meets Orange is the New Black. After six years behind the anchor desk at two CBS affiliates, Laura moved to the Alabama Gulf Coast to raise her family. Her accolades in broadcasting include awards from the Associated Press, including Best News Anchor and Best Specialized Reporter. 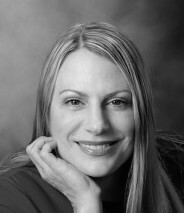 Laura was recently awarded a 2-book deal with Thomas Nelson Publishing, a division of HarperCollins. Her novel, Center of Gravity, set in Mobile, Ala., will be published in July of 2015. Her writing awards include those from William Faulkner-Wisdom Creative Writing Competition, Writer’s Digest, RWA, and the Eric Hoffer competition. She holds a master’s degree in journalism from The Ohio State University and a bachelor’s degree in English from Clarion University of Pennsylvania. 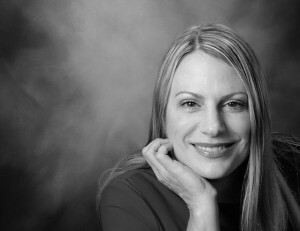 She is currently pursuing her MFA from New England College. She is a native of Upstate New York and currently resides near the Alabama Gulf Coast with her two children.